Wynn Resorts says its internal investigation into numerous sexual harassment allegations made against Steve Wynn — its founder and former CEO — has concluded, but the probe’s findings are not presently being disclosed. In filings made this week by the company with the Securities and Exchange Commission (SEC), Wynn Resorts said its internal investigation committee presented its findings to the board of director during an August 3 meeting. 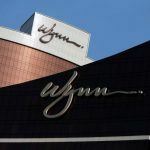 “In deference to the ongoing regulatory investigations, the Board and the Company will have no further public statement on the results until the regulatory investigations are completed,” Wynn Executive VP Ellen Whittemore explained. Numerous regulatory agencies launched investigations into Wynn Resorts following a January expose in The Wall Street Journal that disclosed numerous allegations of sexual harassment against the company’s billionaire founder and CEO Steve Wynn. Wynn Resorts formed the special investigative committee immediately after the WSJ report. Wynn Resorts is doing everything in its power to distance itself from its disgraced former chairman. 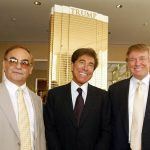 Steve Wynn resigned from the company in February and later sold off his entire stake in his casino empire, estimated to be worth around $2.2 billion at the time. 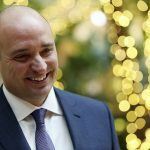 New CEO Matt Maddox, who was appointed to the board of directors this week along with gaming veteran Phil Satre and former Deutsche Bank CEO Richard Byrne, has told regulators that Wynn Resorts is “not about a man.” “Steve Wynn is not Wynn Resorts,” Maddox told the Massachusetts Gaming Commission (MGC) in April. 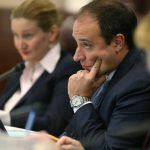 The MGC, Nevada Gaming Control Board, and Macau Gaming Inspection and Coordination Bureau have all launched investigations into Wynn Resorts’ suitability to hold gaming licenses. 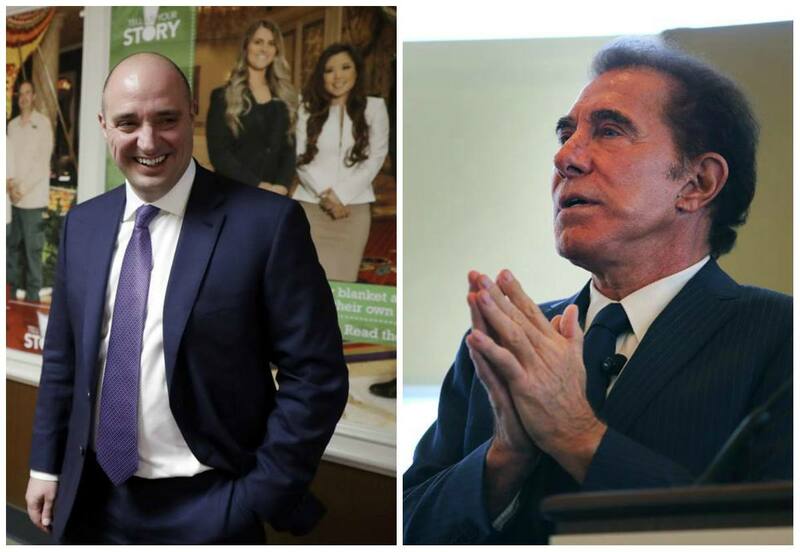 Along with the board appointments, it’s been a very busy week for Wynn Resorts. The company announced that it reached a deal with Elaine Wynn, Steve’s former wife and cofounder of the casino business, that guarantees she will not seek to raise her stake or takeover the company, nor nominate anyone to the board or attempt to influence board members. Maddox and Satre joining the board is important for shareholders twofold. One, it hints that the CEO won’t be shown the door by the company, and by most accounts, the Wynn protégé who’s been with the company since its beginning has successfully weathered the biggest storm in modern gaming industry history. Satre, the former CEO of Harrah’s, said recently that one of his biggest career regrets is not taking the company now owned by Caesars Entertainment to Macau. Now part of the Wynn team, he’ll have that opportunity. Wynn Resorts makes the vast chunk of its revenue in the Chinese gaming enclave. Satre will become chairman of the board next year after D. Boone Wayson steps down. Shares of Wynn Resorts remain lower than their pre-scandal levels. The stock was trading at $200 before the bombshell, and today is at $154, a 23 percent loss.